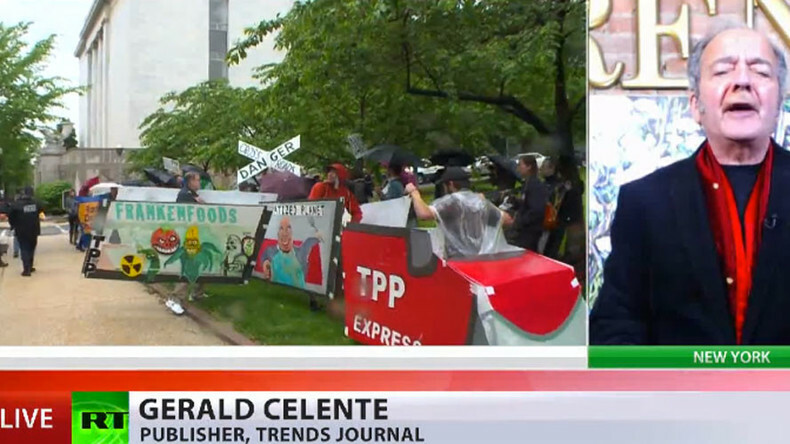 We don’t know a lot about it, but Obama pushed it as "the most progressive trade deal in US history," publisher of Trends Journal Gerald Celente told RT. RT America's Ed Shultz, and Jack Rasmus, Professor of Political Economy, also provided comments. US President Donald Trump has signed an executive order to withdraw from the Trans-Pacific Partnership trade deal. TPP is a free trade agreement between America and the Asia Pacific region. It was due to cover 800 million people and encompass 40 percent of the global economy. However, the proposed agreement, much of which was negotiated in secret behind closed doors, was met with tremendous public resistance in several countries. — RT America (@RT_America) 24 января 2017 г.
RT: Why should people care about this decision? Is this a big surprise or not? 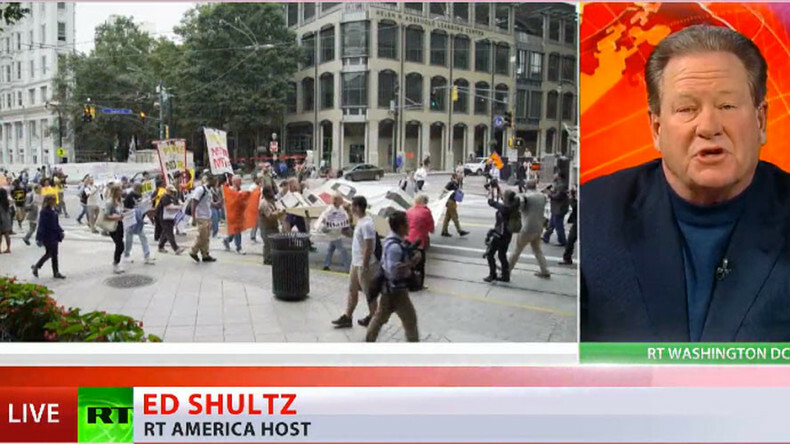 Ed Shultz: Well, this underscores what Donald Trump has said all along – that he is going to protect American jobs. This puts the US in a position of a level of protectionism that we haven’t seen for a long time. The fact is that he believed that this was a race to the bottom; that American workers would be competing against workforces in Vietnam and Brunei to the tune of 54 cents an hour. There has already been a reaction on Capitol Hill – Bernie Sanders has reached out and said that this is a great move, saying that he is glad that this deal is finally dead. This goes against the millions upon millions of dollars that were spent by Wall Street lobbyists to try to get this deal through the Congress, and they couldn’t get it done. People within the Obama party, the Democratic Party were not on board with him: Elizabeth Warren was against it; Chuck Schumer was against it; Bernie Sanders moved Hillary Clinton on this issue, which only emboldened Donald Trump to talk about it more on the campaign trail. — RT America (@RT_America) 23 января 2017 г. So this is going to satisfy those old Reagan Democrats, who left the Democrats and voted for Reagan – the same makeup is of those white workers in Pennsylvania, Ohio, Michigan, and Wisconsin that left the Democrats and went to Trump. I can tell you that a lot of union workers in this country are going to very happy that he has made this move this early. No one would have anticipated Hillary Clinton doing this -this early. This is living up to a campaign promise. It goes against Wall Street. Sanders is embracing it; John McCain on the Republican side has said that this is a big mistake. But this now opens the door for Trump to go do these trade deals that he promised the American people he would do. This chapter isn’t done yet. This book isn’t done yet. This is just the first chapter of getting rid of TPP, which I think is a good move for America. RT: Do you think it is fair to say this is a big win for Trump in a sense not only is this popular with the people but also politically? Indeed a fair share of Democrats is on board with it. 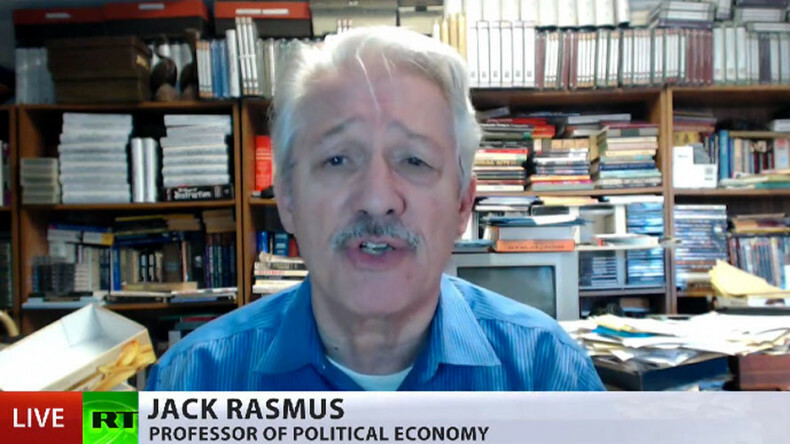 Jack Rasmus: Yes, the TPP was not very popular here except for corporate elites, multinational corporations, who were to gain major benefits from this. But people have been tired of free trade agreements because they clearly haven’t produced the results in terms of jobs and incomes, and people are becoming aware of that. 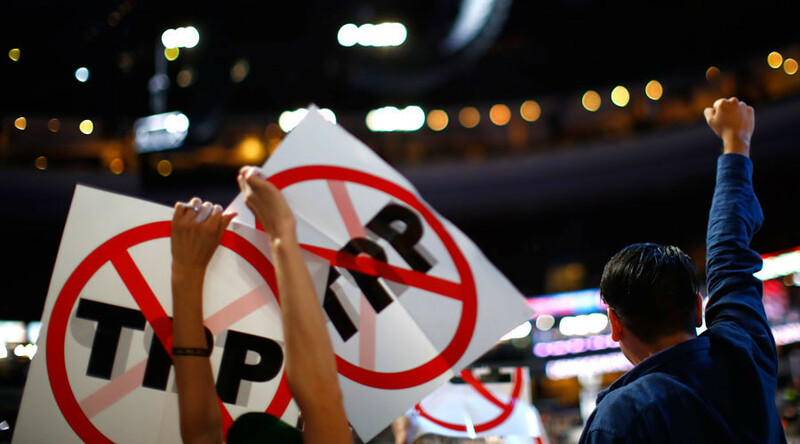 There is a lot of opposition growing against free trade deals and the impact on jobs and income. So he is going to make some points with his base, and probably beyond his base as well here with this particular move. We’re going to see him make a number of other executive orders: repealing the Affordable Care Act and anti-immigration, and so forth. RT: Trump called TPP a disaster, and there were massive protests - what exactly is it about this deal that people object to so much? Gerald Celente: Well, there is not a lot that we were allowed to know about it. Remember this was done in secrecy for over seven years – from President Obama that came into office and promised to have a very transparent government. We the people don’t know a lot about it, but they pushed it off as he did as “the most progressive trade deal in US history.” That is not very progressive in terms of progressives. However, it is not that much of a trade deal in terms of tariffs – it is more of something that gives multinationals, foreign companies, the right to circumvent governments. That is the big deal of TPP. But again, remember, we the people who are never allowed to see this. So what it does – it drags governments in front of investor state dispute settlement tribunals. It wasn’t really that much about trade because they robbed us of the trade already. RT: Trump has also been highly critical of NAFTA. Do you expect him to scrap other trade deals that the US is involved in? GC: He’ll definitely restructure them. Again he has the power, as well. He doesn’t need Congress to do anything with NAFTA. The reality of this is that since 1997 to roughly 2015, we’ve lost over five million manufacturing jobs in America. Then you see again all of a sudden you’re hearing from one company after another – particularly auto companies and others saying that they are going to bring manufacturing back to the US. It was one of the major issues at the Davos meeting last week. So yes, he is going to renegotiate it. I don’t believe he’ll kill it.